Coming up with a presentable memorial program template may be a difficult task to engage into if you are one of the bereaved family members. 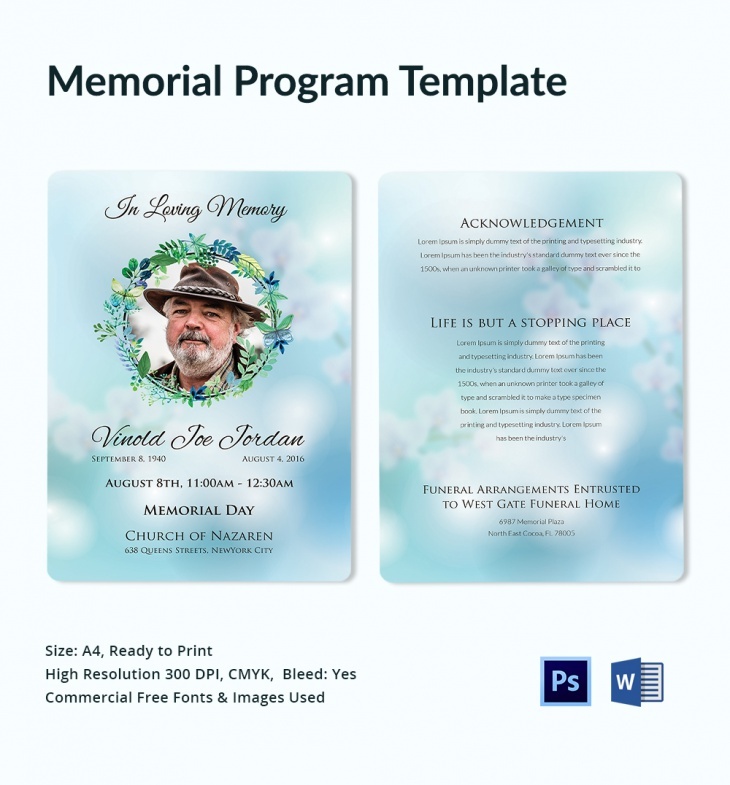 That is why it is more recommended to just use an easy to edit and ready to use memorial program template. Below are some good examples of templates you can choose from. This template is designed in a simple white background with splashes of pink. The circular image frame is acented with rose design at the bottom and the text are all done in black. The blue sky background used for this memorial program template is an ideal choice. Floral accent is used for the circular image frame, while the text for the information is done in black. This memorial program template has a very simple design. The white background is accented with black. The circular image frame is bordered by a kind of simple black sketch, which is also used for the black spaces dedicated for some of the important details. There is a rustic look into this memorial program template, and it is evident in the black designed corners. Black is also used for border for the image frame, as well as the color for the text. White background is used to create a simple design or this memorial bookmark template. Black is used for the texts to match the whiteness, while flower accents are used for the image frame and two other accents. Not many people who just lost a loved one will be able to really focus on every activity required during the memorial or funeral service. That is why, there are professionals that take care of these things. 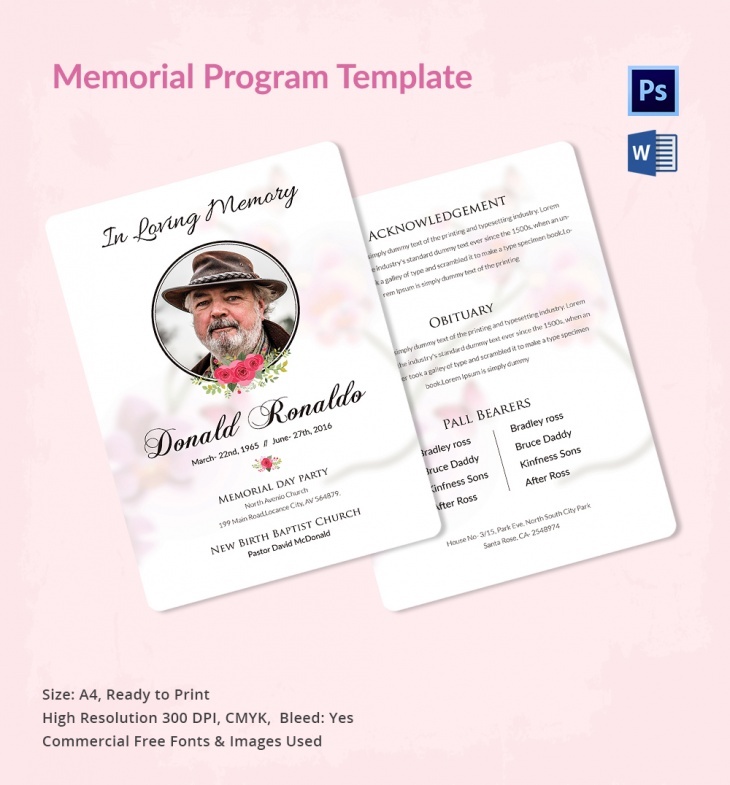 In the case of the memorial service brochures, you should opt for the templates that you can easily edit and then print.